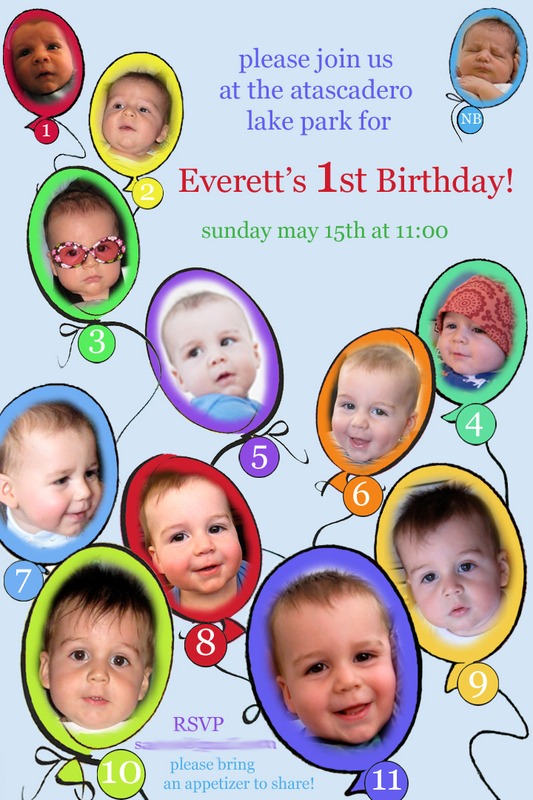 It's time for Everett's two year birthday extravaganza!! Ok, maybe not. I'm trying to keep it pretty low key, but it should be fun. 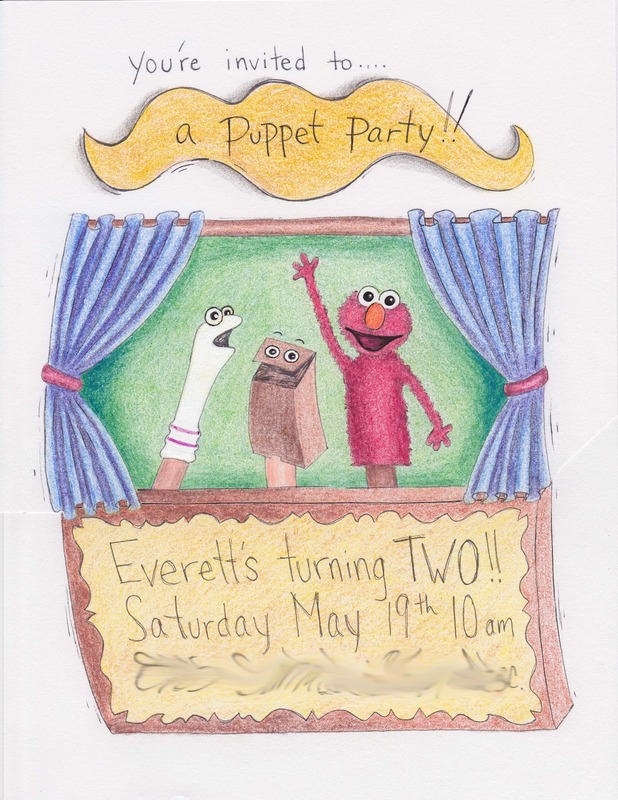 I decided on a puppet theme because Elmo is one of Everett's favorite things (after firetrucks, tractors, trains, garbage trucks, and everything else with wheels. But I didn't want to create a theme out of any of those things, and this might be my last year to choose the theme!). I made it a puppet theme and not an Elmo theme or a Sesame Street theme because I want more flexibility (we can make puppets that aren't Muppets for an activity), it's cheaper (I'm not forced to buy EVERYTHING with Elmo's face on it--'cuz I'll get party fever and won't be able to resist! ), but I also have an innate dislike of brands and characters on things, so it was the natural choice for me. 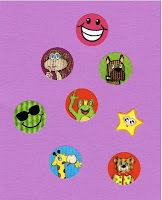 But we CAN include Muppets (and Sesame Street characters--they're Muppets, right? ), because they fall under the umbrella term of puppets. Anyway, drawing it was much easier. And I got it printed on shiny card stock, four to a page, at our local print shop Wilkins ACTION Printing. Last year I was confused by why I couldn't find envelopes to fit a picture. And I knew I'd be frustrated this year trying to find an envelope I liked, so I made them!! 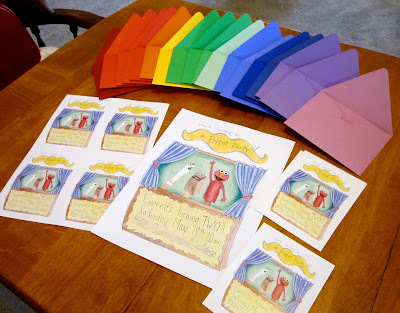 My in-laws looked at me like I was crazy when I said I was going to make the envelopes, but it was much easier than I expected. I took apart a small Paper Source envelope I had left over from our wedding RSVP cards and made a pattern the exact size I wanted, traced it on colored 12x12 card stock, cut, folded, glued, TA DA!! And I got to used a bunch of different colors, which was fun. I used Pixar stamps (oh how I wish the USPS still had those Muppet stamps! ), but Everett's second non automotive love is Toy Story (or as he calls it, Astronaut/Cowboy), so he liked that. And I can't help myself. 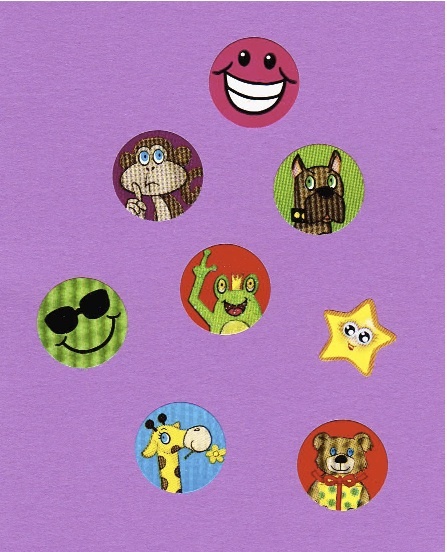 I have to put stickers on envelopes I send, so I found the closest things to puppet stickers I could: happy faces and animals cut off at the waist (if you don't see their legs, they're puppets, right?). I'm typing this on April 23rd, and the invites went out today! 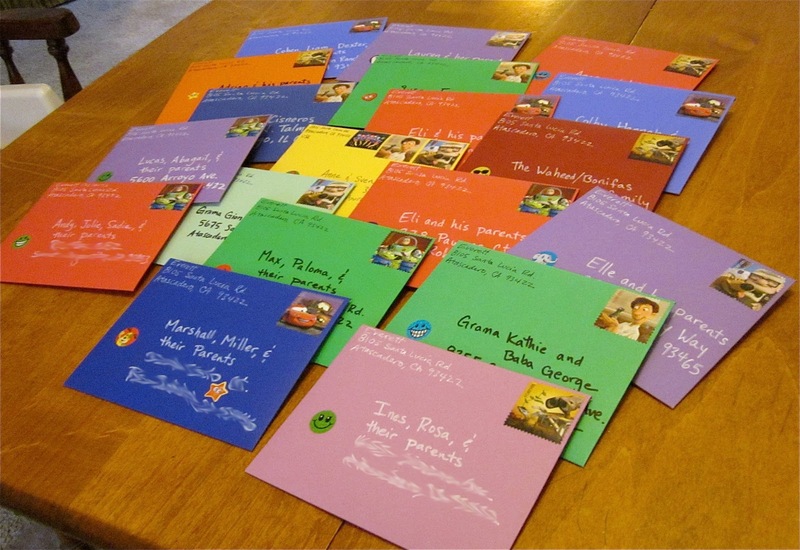 I'll post this blog after I know everyone's received the envelopes, so everyone can be surprised!! I'll blog about the party after May 19th. Should be fun! !